Life sized Dice Set of 4, by Jennifer Dontz. Each die measures approximately 1/2" x 1/2" x 1/2". 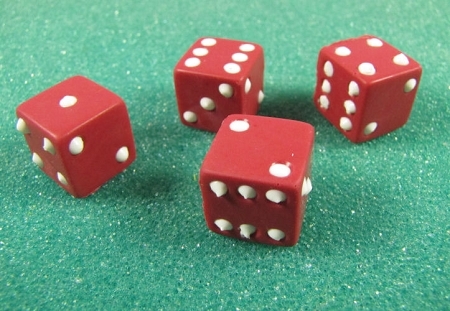 Each die has one flat side with no number on it.